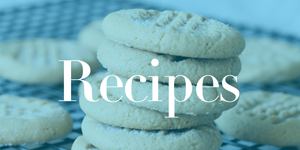 Home / Savings Blog Posts / Recipes / Cookie Recipes / Nutter Butter Chicks Recipe | Easter Snack Treats! Check out this Adorable Nutter Butter Chicks Recipe for a special Easter Treat for your family! This Nutter Butter Chicks Recipe is easy to make and fun for the whole family! You could even get your kids involved to help you make these! Kids will love decorating the chicks with eyes, beaks, and feet! Display this treat in a cute bowl for your Easter Party or Easter Egg Hunt! This would also be a fun treat for your kids to take to school and share with their friends, or give these as a treat in a goody bag! You are going to repeat this process on the other 2 Starbursts to create 24 triangles that you will make 2 cuts in each and separate to make toes on the feet. Set beaks and feet aside. Lay cookie in melted candy and spoon mixture over cookie to coat completely. Carefully remove from candy so the cookie doesn’t come apart, and let excess candy drip off. Lay cookie on wax paper. Place mini chocolate chips for eyes. If you are looking for an easier way to melt the Candy Chips, check out this Wilton Chocolate Pro Electric Melting Pot! I have one of these and it is my favorite! I can walk away from the chocolate and it doesn’t burn! It is also the perfect consistency for dipping your favorite treats! Get one now at Amazon for only $18.67, down from $32.99! Receive Free Shipping with Amazon Prime, or Free Super Saver Shipping on orders of $35 or more! For another great recipe for Easter, be sure to check out this Frozen Strawberry Lemonade Recipe! This is a sweet drink recipe to get you ready for Spring and Summer! Plus, it would also be refreshing after a fun Easter Egg Hunt!